The horse chestnut is a beautiful ornamental tree with attractive leaves and flowers. It produces prickly fruit capsules which each contain a glossy brown and nut-like seed. The seed is known as a conker and has been used in a popular children's game since at least the mid-nineteenth century. The game gets its name from the seed and is known as conkers. The scientific name of the horse chestnut tree is Aesculus hippocastanum. Despite its common name, horse chestnut isn't closely related to true chestnut trees. 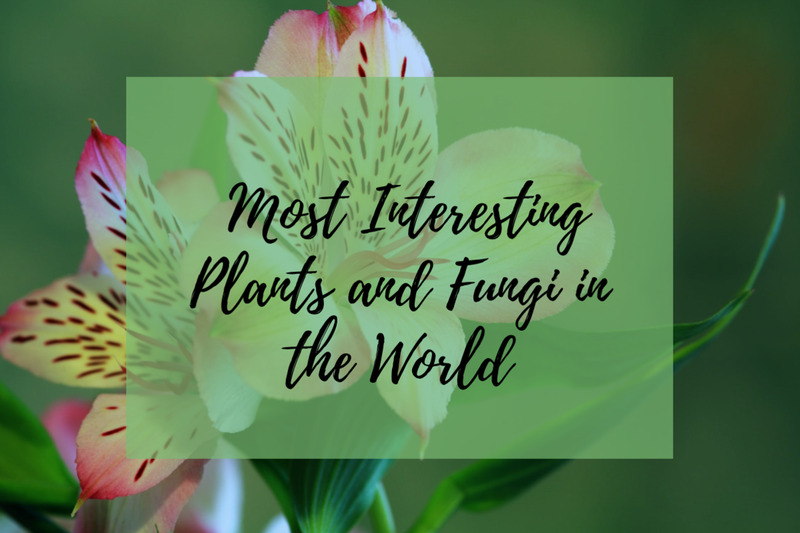 It's native to Southeastern Europe but is grown in parks, landscaped areas, and gardens around the world. The conkers ripen in September and October. They aren't edible and are actually toxic in their intact form. They're safe to touch, though. 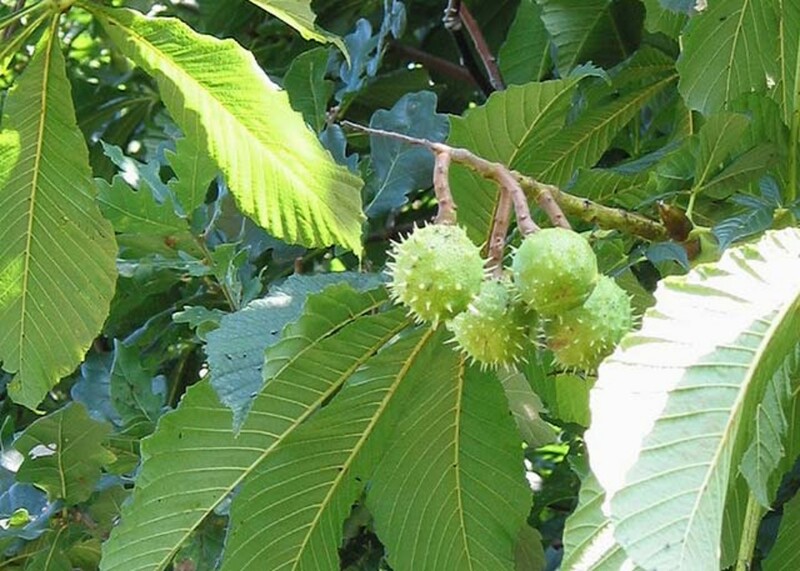 An extract made from horse chestnut seeds or leaves may have medicinal benefits. There are horse chestnut trees growing in my neighbourhood in Canada. They are one of my favourite trees. The flowers are lovely to see in late spring and early summer and the conkers are fun to collect in autumn. A horse chestnut tree may grow to over a hundred feet in height. 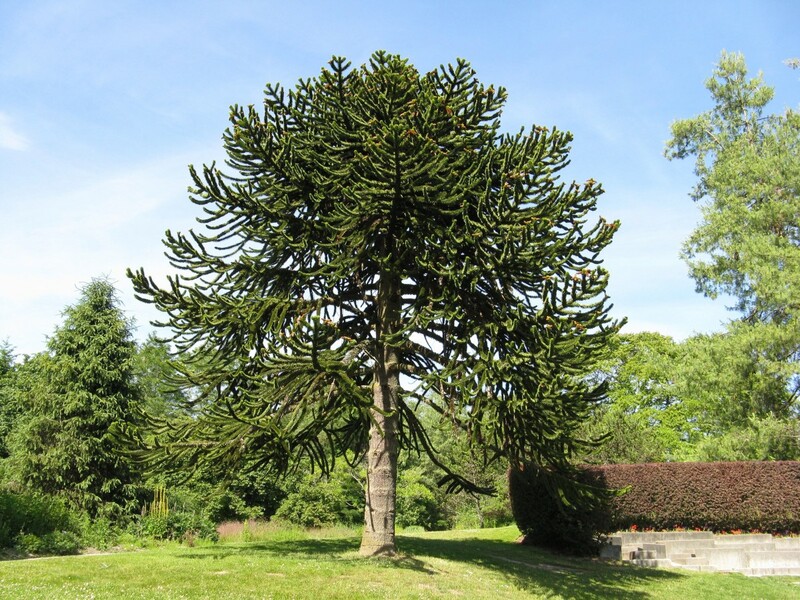 A mature tree is densely leaved in summer and is an impressive sight. The leaves develop from sticky buds and are said to be palmately compound. This term means that a leaf consists of smaller leaflets that radiate from a common base. There are five to seven leaflets in a leaf. Each leaflet has toothed edges and a pointed tip. 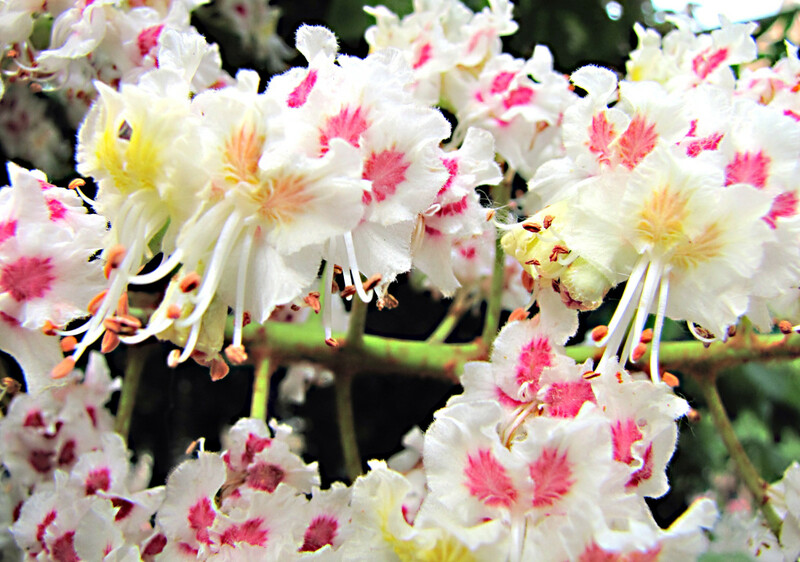 Horse chestnut flowers are mainly white but have attractive pink or yellow blotches at their base. They are born in erect spikes that are sometimes called "candles" because they look as though they are lighting up the tree. The fruits are large and prickly. They are green at first and turn yellow in the autumn. Each fruit generally contains one conker (or horse chestnut), but may occasionally contain two or even three conkers. In the autumn the fruits fall to the ground, often already open. The seeds, or conkers, are a beautiful, rich brown color and have a glossy appearance. There is a white mark at one end of each seed. Horse chestnut trees are sometimes planted on either side of a road, forming beautiful avenues. They are valued for their beauty, the nectar that they provide for bees, and their conkers. As described below, they may have medicinal benefits as well. The wood of horse chestnut is soft, light, and weak. It isn't very good for building things. 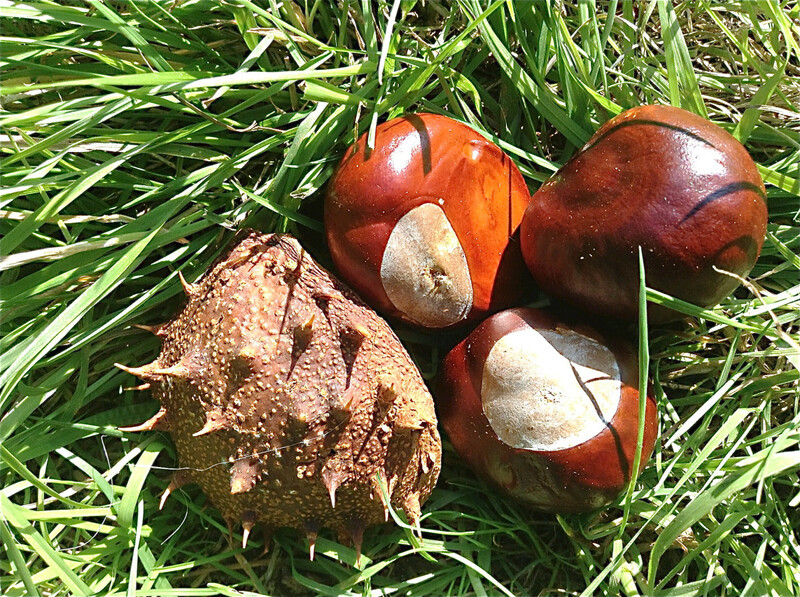 How Did Horse Chestnut and Conkers Get Their Names? 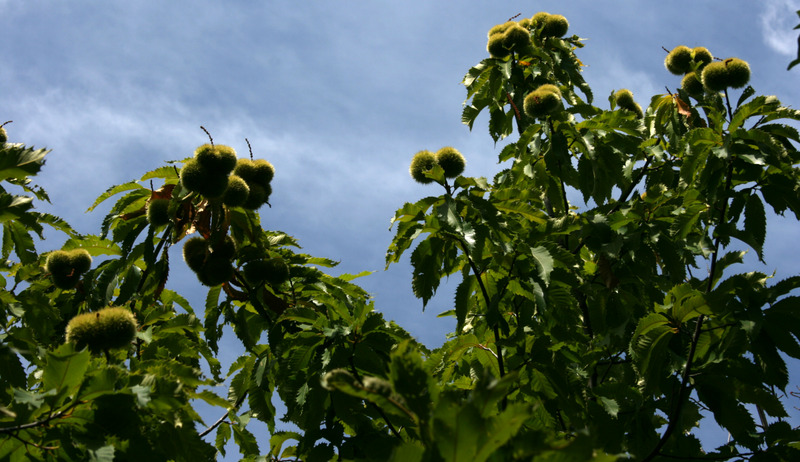 There are several possible reasons why Aesculus hippocastanum is known as a "horse" chestnut. When a leaf drops, the scar left on the tree is shaped like a horseshoe. The scar also contains seven marks around the edge that look like the nails of a horseshoe. Another possible reason for the name is that it was once thought (mistakenly) that horse chestnuts helped cure horses of chest complaints and made their coats shiny. The name conker may have come from the sound that's made as two conkers hit each other. Another possibility is that it was derived from the French word "cogner", which means to "hit or knock". In some regions of Britain conkers are given alternate names, including obblyonkers and cheggies. Conkers with flat sides are sometimes called cheesers. Conkers is a traditional game in the UK, where I grew up. The goal of the game is for a person to use his or her conker to break a conker belonging to another person. The earliest games of conkers were actually performed with hazelnuts or sea shells instead of horse chestnuts. 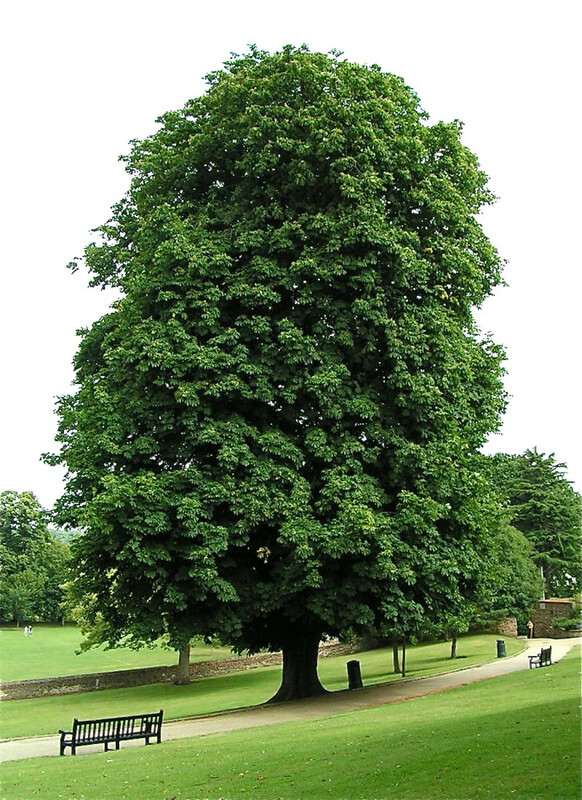 The horse chestnut tree wasn't imported into the United Kingdom until the 1600s. The first recorded game of conkers played with horse chestnut seeds took place in 1848 on the Isle of Wight. To prepare for a game of conkers, a player has to drill a hole through one of the seeds. A screwdriver or another device is sometimes used instead of a drill. A piece of string or a shoelace is then threaded through the hole and a knot is tied at one end so that the string can't slip out of the hole. To play the game, one person dangles their conker and the other swings or flicks their conker at the stationary one. The players take turns swinging their conkers. A conker that breaks another one is the winner. Competitive conkers are assigned a number. A none-er is a conker that hasn't yet broken another one while a one-er has broken one conker. However, the numbering system gets more complicated than this. A conker not only gains a point for defeating another one but also take over the points of the conker that it destroyed. For example, if a none-er breaks a two-er, the none-er becomes a three-er. It got one point for winning the game plus it gained the two points of the conker that it broke. In the United Kingdom, even adults play conkers. The World Conker Championships is an annual event that is held in the middle of October. The event takes place in Northamptonshire and was started by the Ashton Conker Club. The competition organizers provide conkers for the games and don't allow players to use their own. This rule prevents players from entering the games with an unfair advantage. There are several methods of hardening a conker, which aren't allowed in the competition. These methods include soaking the seed in vinegar or salt water and baking it in an oven. Storing a conker for a year will also harden it. 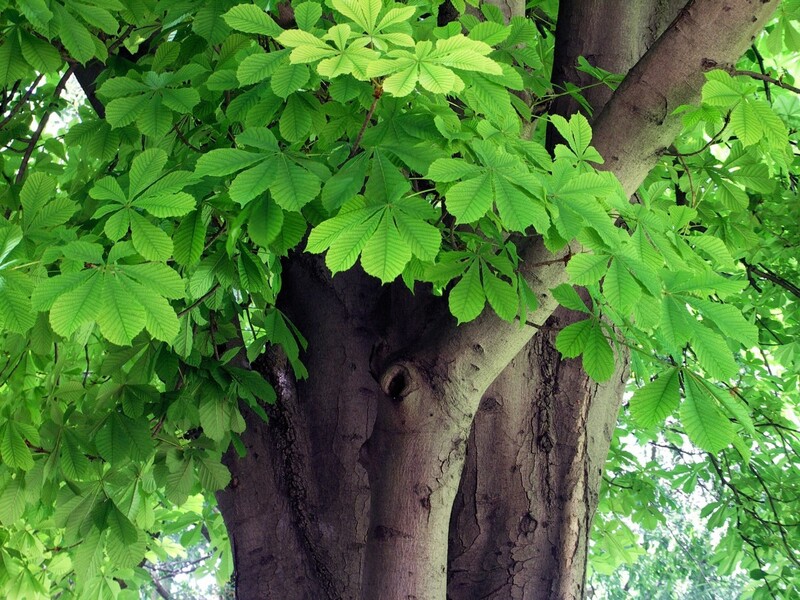 An extract of horse chestnut seeds or leaves may have medicinal benefits. There is scientific evidence that the extract can help chronic venous insufficiency. In this condition, a weakness in the leg veins interferes with the return of blood from the legs to the heart. The condition causes problems such as varicose veins, ankle swelling, and pain. The NIH, or National Institutes of Health, acknowledges that horse chestnut extract has been shown to be effective for venous insufficiency. They also state that there is no evidence that it can help any other condition, however. Any extract that's used must be free of aesculin. Aesculin (or esculin) is a toxic substance in horse chestnut. Horse chestnut also contains a substance called aescin (or escin), which is thought to produce the beneficial effects noted in experiments. Horse chestnut extract may act as a medication, but eating conkers or leaves from a tree is dangerous. Extracts intended for medical use must be obtained from Aesculus hippocastanum and not from related plants such as Aesculus californica (California buckeye) or Aesculus glabra (Ohio buckeye). These plants haven't been tested for medicinal benefits or safety. It's important that anyone who is considering the use of horse chestnut as a medication talks to their doctor. Natural medicines can cause side effects and can interfere with the action of pharmaceutical drugs. The horse chestnut is a much loved tree in the United Kingdom. Unfortunately, in some parts of the country it's being attacked by the leaf miner moth, or Cameraria ohridella. The moth causes the leaves of horse chestnut to turn brown and fall off the tree in late summer instead of in the fall. 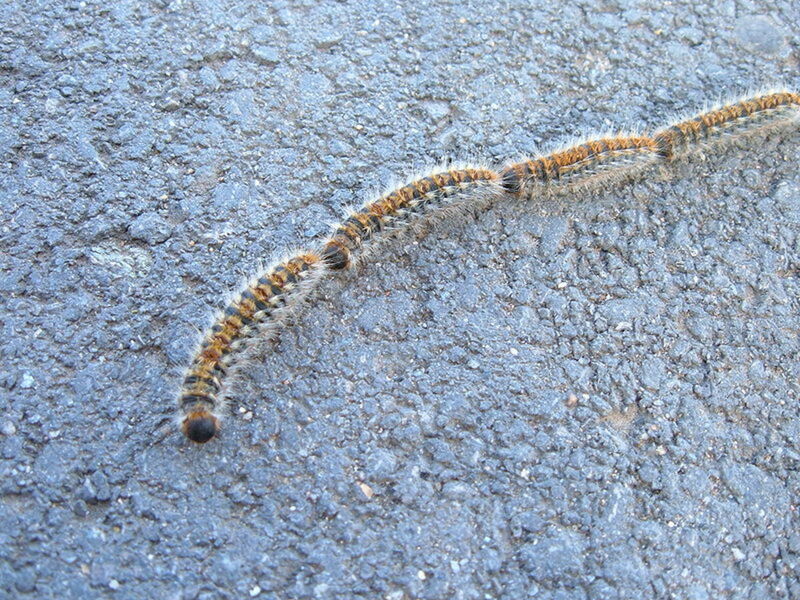 The damage is done by the larvae of the moth. They "mine" their way through the leaves as they feed on leaf tissue. Although infected trees don't look very attractive, they aren't killed by the moth. The damage to the leaves develops too late in the growing season to have much effect. The seeds or conkers may be smaller than normal, however. There has been some concern that horse chestnut trees are being weakened by the moth's presence, which might make them more susceptible to microbe infections. Recent research has dispelled this notion, however. Scientists say that the threat of a bacterium that causes bleeding canker disease is much more serious than the threat created by the leaf miner moth. The dangerous bacterium is called Pseudomonas syringae. It creates an infection in the tree bark (a canker). The damaged area releases a sticky, reddish brown liquid. The infection may be minor. 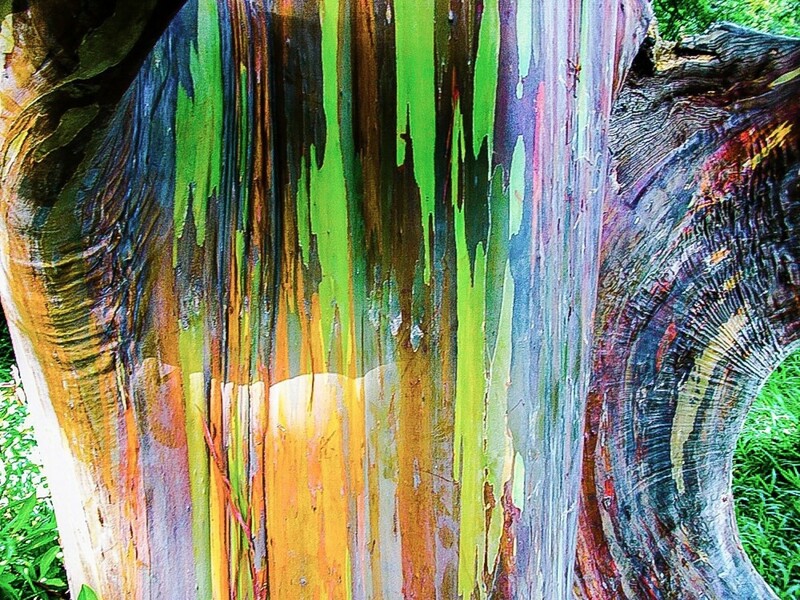 However, in severe cases the infection travels deeper into the tree trunk and kills the inner bark, the cambium (which produces new plant tissue) and the outer wood. Water and nutrient transport may be disrupted. If the infection spreads all around the tree trunk, the tree will die. Hopefully researchers will be able to fight bleeding canker disease and prevent the infection from spreading to new trees. The loss of horse chestnut trees from Britain would be a very sad event. They have been a beautiful part of the landscape for many years. Why are there no flowers on my horse chestnut tree? 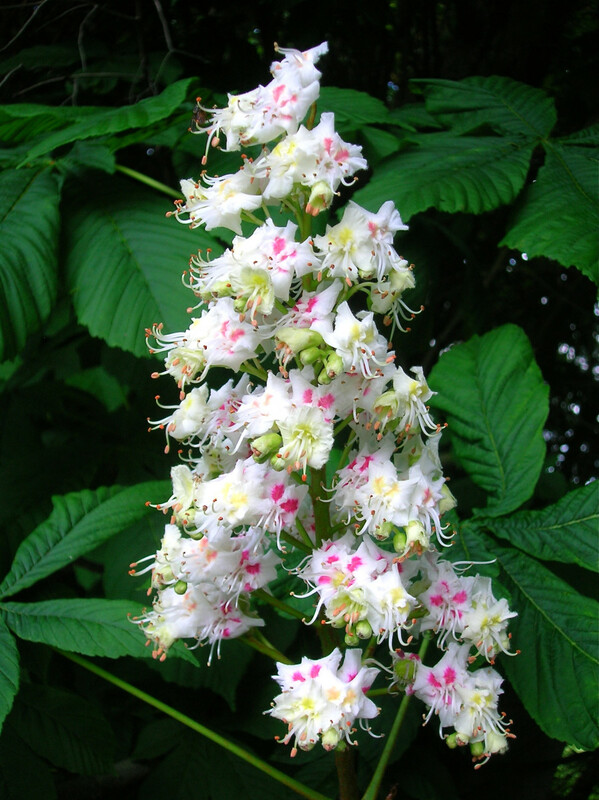 Several factors may explain why a particular horse chestnut tree doesn’t produce flowers. First, the tree needs to be genetically capable of reproduction. 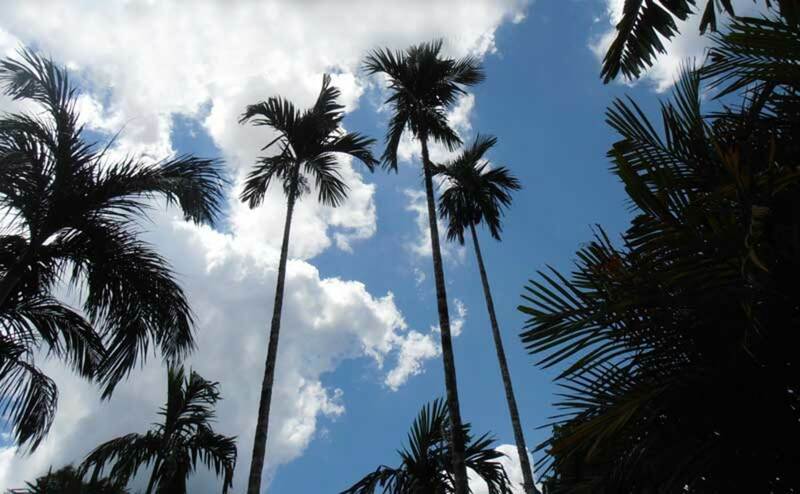 Some trees may be naturally sterile. Another important factor is maturity. A tree generally needs to be several years old before it blooms. 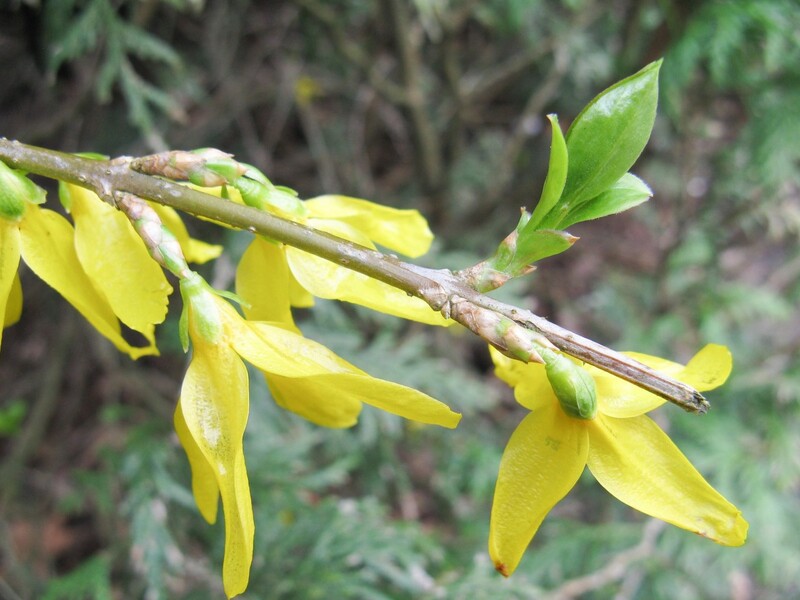 Also, the soil needs to contain essential nutrients for a tree to bloom. Fertilizer shouldn’t be added to the soil unless there is a known nutrient deficiency, however. An excessive quantity of certain minerals can be harmful. Some plants have roots, leaves, or cells that prevent the entry of salt. Some absorb the salt but have mechanisms that prevent it from damaging the plant. The horse chestnut is moderately tolerant to salt, but I’ve haven’t seen any information about the specific mechanisms that it uses to deal with the substance. i just want to ask that how these species can grow in salty water land or sea coasts ? I love the flowers, too, Peg. You're right about the fruits. I've experienced some painful experiences just trying to pick them up! The flowers on this tree are incredibly beautiful. Those green horse chestnut fruits look like they could be painful if you got hit with them. I love the looks of this majestic tree. Thank you very much for the comment and the vote, Alun. I think the horse chestnut is a lovely tree. It's fun to observe it and to write about it! Lovely feature about all aspects of the life of horse chestnuts. The photos are all good and helpful (I never knew that in close up the horse chestnut flowers could be so attractive) including your own, opening picture. The videos all also contribute something different. Thanks, ologsinquito. I think that Hildegard of Bingen was a very interesting woman. I enjoy learning about her. Great article. One of my favorite herbalists, Hildegard of Bingen, believed chestnuts could cure just about anything. Thanks for the interesting comment, LastRoseofSummer2. I hadn't thought about how often conkers were mentioned in period dramas until now! Thank you! I hear a lot about conkers because of all the period dramas I watch. Glad to know some more info on it all. Thanks for the visit and the vote, moonlake. It's always sad when a tree is cut down. I can understand that it may need to be done when the tree is diseased or is weak and a danger to the public, but otherwise it seems like such a shame. I love this tree but I think the only one we had in our town has been cut down. The city can be blamed for that they love cutting trees down. Voted up. Thanks for commenting and for sharing your story, Deb. It's sad when a favorite tree has to be cut down. When I was growing up, we had a horse chestnut in the yard, and I regularly played with the conkers, but I didn't know about the game that you played. Mostly I threw them to home in on my aim. The tree had bleeding canker, and my father eventually cut it down. Thoughts of it held many happy memories, as it was a fabulous shade tree. Hi, Dianna. Yes, playing conkers is fun! Thank you for the visit and the comment. We had these tress in Indiana and I failed to realize this game of conkers existed..as a child it would have been fun! Thanks for the education! Hi, Nell. Thanks for the comment. I've heard about the idea that conkers repel spiders, but I haven't seen any proof one way or the other. It would be very interesting - and useful - if conkers contained a chemical that kept spiders away from an area! Hi, drbj. Thank you very much for the visit and the comment - and for the humor! Who knew about the horse chestnut tree and conkers and the conkers game, Alicia? Not me. So it was extremely educational and entertaining to read your fascinating treatise on same. Thank you for this exceptional exposition. Now I'm worrying about conkers who may be susceptible to cankers. Thanks, DDE. I appreciate your comment. The Horse Chestnut Tree and Conkers a beautifully presented hub on this topic, and I so enjoyed learning more about this tree. Thanks for the visit and the comment, Pamela. Nature is an interesting topic to explore! All of this information about this tree is new to me and very interesting. I am always interested in reading about nature and you did an excellent job of presenting the information in a very interesting way. Also hub. Thank you very much, CraftytotheCore! I appreciate your kind comment. I love to learn about trees. Such fascinating information about one type of tree! Thank you for sharing such wisdom and knowledge. Thank you for the comment, Eddy. I appreciate the vote and the share, too. A wonderful read thus voted up plus shared. Hi, Bill. It's interesting to hear about other places where conkers is played. As always, thank you very much for the comment, the vote and the shares! Hi Linda. Very interesting. I believe that we have Horse Chestnut Trees here in western Massachusetts. I seem to recall collecting the Conkers up near Amherst College many years ago. I also remember playing the game with the Conkers as a kid. Boy, that's a long time ago. A very interesting hub, great job. Voted up, shared, pinned, etc. Thank you for the lovely comment, Faith. I appreciate your votes, the share and all your support very much. Blessings to you, too. Thank you for this astounding hub here on the horse chestnut trees, for I have never heard of such and learned much from your most interesting and insightful hub here. It certainly is a stunningly beautiful tree. I loved the time-lapsed video of 8 seasons of this gorgeous tree. Thank you for the education here. Excellent as always. Up and more and sharing. Thanks, Bill. I love horse chestnut trees, too! Thanks for the visit and the comment, Martin. Fascinating story on the game of conkers, which was unknown to me until now. As far as I know us Yanks don't play it, although it sounds like fun. My iPhone doesn't know about it either, because it changed the word conkers into "con jets," which doesn't make any sense. Another drawback of these darn smart phones. Great hub! Wow! I love the trees but knew next to nothing about them. Great information and quite interesting, Alicia. Thank you!